There have been a lot of rumors concerning the smaller brother of the Maxwell architecture, Nvidia’s GeForce GTX 960, with a multitude of different release dates and random specs muttered under breath we’d not reported on many of them; we were starting to feel like the boy who’d cried wolf. But in the story the wolf eventually came… or in this case the GTX 960 actually came. And here it is, ready to eat up your money and gaming pixels. 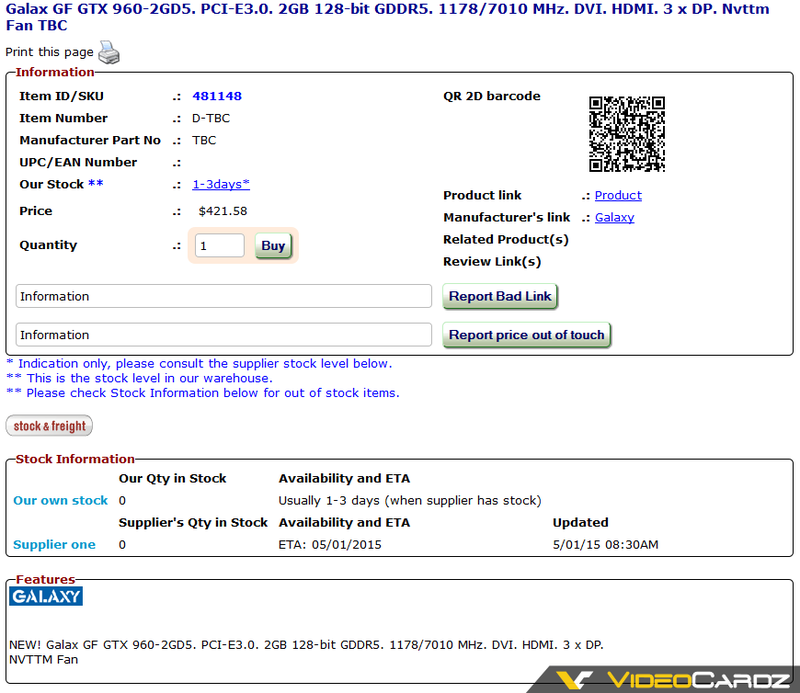 Despite Nvidia’s CES 2015 keynote being a letdown (an understatement to say the least) the GeForce GTX 960 has been unofficially leaked by an Australian retail website (but has since been delisted, because they probably caused someone at Nvidia to have a heart attack). The GM 206 GPU is advertised to feature 2GB of GDDR5 memory (undoubtedly there’ll be the 4GB variants too) . From what we’re seeing so far, the card is using a 128-bit memory interface; certain to cut into the memory bandwidth of the GPU. Remember, that even the GTX 980 features less memory bandwidth than the Kepler architecture – all thanks to improvements in the way data is shunted around the card. With the clock speed said to be 7010MHZ, this will put out around 112GB/s of memory bandwidth, hopefully this’ll be enough. 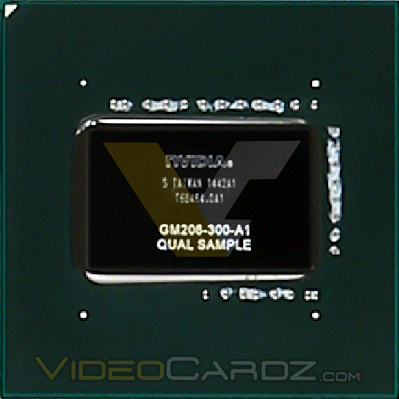 The Nvidia GeForce GTX 960 Die shot – also known as the GM206 GPU. The core clocks would appear to be in the region of 1200MHZ, but alas there’s no hints regarding the number of CUDA processors the chips sport. It’s logical to conclude we’ll see between 1024 and 1280 at most, if we look at the natural progression from the GTX 980 to GTX 970, or indeed look at Nvidia’s earlier history with the Kepler line of graphics cards. From the rumors, the NDA will lift on the 15th of January, which isn’t too long away – but supposedly a few cards have already slipped out (which shouldn’t surprise anyone). Assuming the listings are accurate (and we’ve little reason to doubt their authenticity at this point) then their performance will be certainly interesting. If Nvidia’s cards follow tradition, the GTX 960 will provide roughly the performance of the GTX 770 (just how the 970 offers similar-ish performance to the 780). With luck, the cards will have a competitive price point (particularly the 4GB models) and the limited memory bus won’t cause issues if users SLI at higher resolutions. SLIing a pair of cards, say GTX 760’s has been a popular way for gamer’s to get bang for buck performance in the past, albeit with some obvious drawbacks (such as using 2x PCIe slots instead of one). We’ll follow the story closely as it develops! Nvidia's GeForce GTX 960 has been accidentally unveiled by retailers and the card features a core clock of 1200MHZ with 128-bit memory bus. Tagged with geforce, geforce gtx 960, maxwell, nvidia, release date.